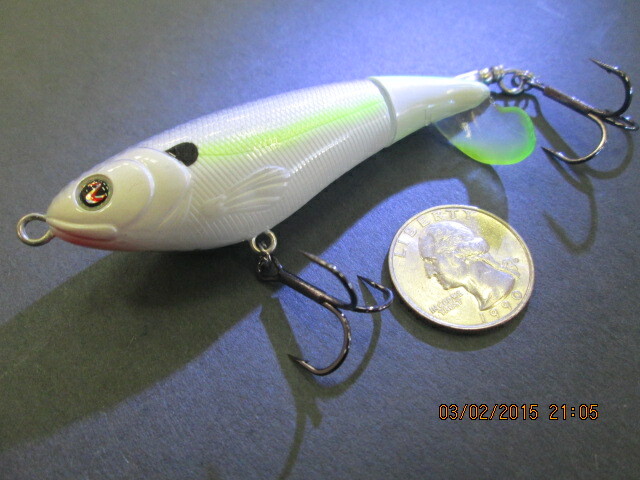 There’s a hot new bait that just came out and is going to catch some quality bass once they start eating topwater baits. 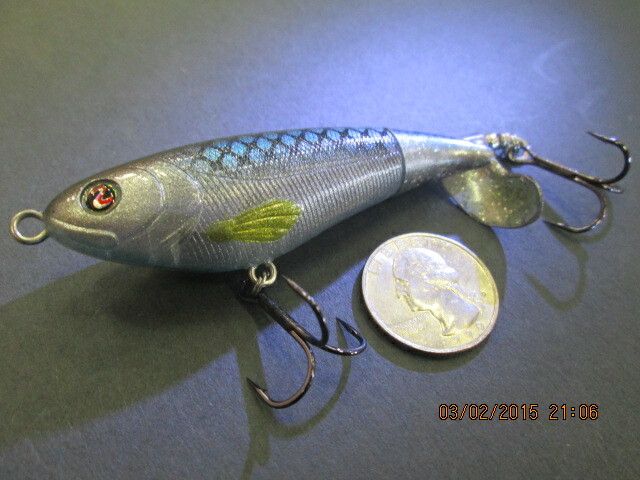 It is a smaller version of the Whopper Plopper made by River2Sea. The full size Plopper 130 works great and is a blast to fish. 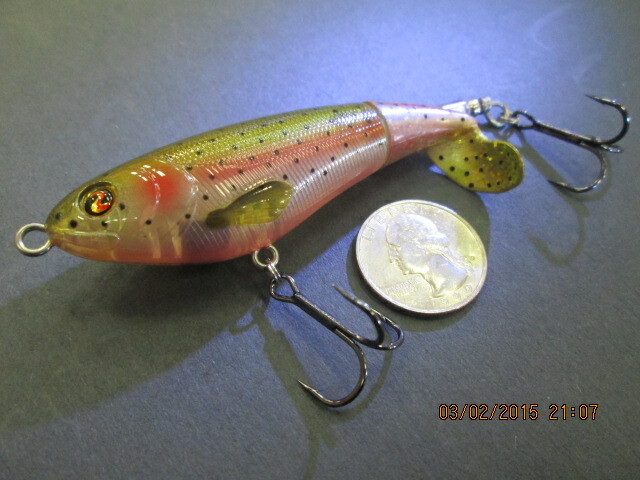 The new Whopper Plopper 90 works in a similar way but, the smaller size will be easy to cast on a spinning rod. This will make it a great bait for novice anglers and experienced anglers alike. The design is very unique. The bait has a small propeller on the back that will churn water as it’s reeled across the surface. As the propeller grabs water, it will force the front of the bait to move side-to-side creating an enticing action. Try fishing the Whopper Plopper around cover or in open water and wait for the explosion. There are a handful of ways to fish it. Try using different retrieve speeds, start and stop pauses or even a twitch here and there. It is a versatile bait that should be a part of any bass anglers arsenal.